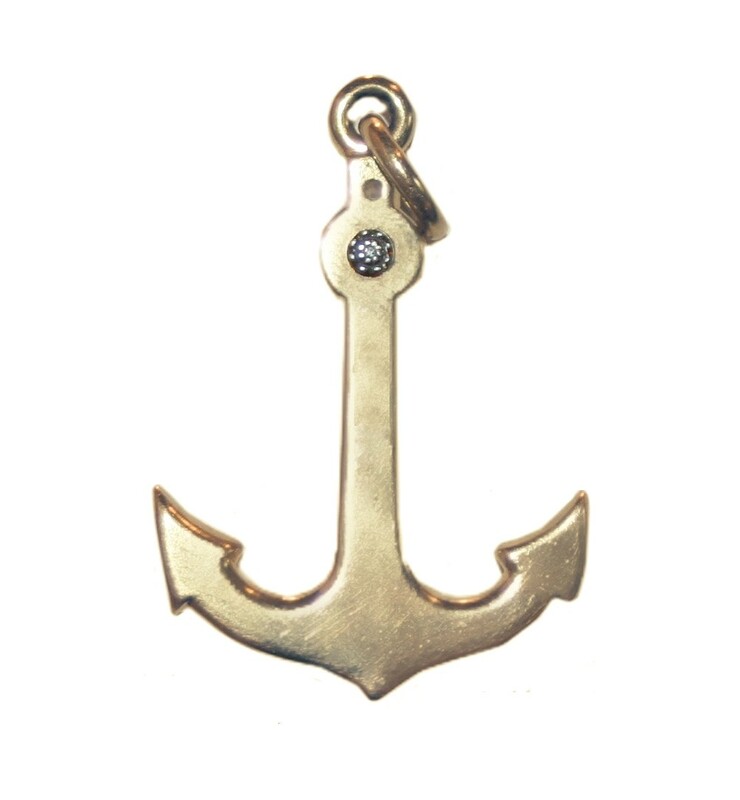 Estate gold and diamond anchor charm. Heavy, large and substantial. Wear as a single statement piece on a short or long chairn or layer with other pieces.